(PRESS SEC) — The vastly improved local economy, a more prosperous consumer class and the release of pent-up consumer demand following the Team Unity Government’s removal of the 17 percent VAT from food, medicines, educational supplies and funeral expenses on April 7th, 2015 have boosted sales of consumer durables, such as automobiles. TDC’s Automotive Division and other car dealerships are riding a wave of success, as evidenced by stronger sales over the past two years, particularly on Discounted VAT Rate Day. The 2015 Discounted VAT Rate Day saw a total of 230 cars sold across all car dealerships – 175 in St. Kitts and 55 in Nevis. More car sales bode well for gas stations and the automotive aftercare market, which consists of tire and car repair shops, car washes, as well as businesses that sell an assortment of accessories and parts. The licensing and registration of vehicles puts money into the public purse, and the banking and insurance industries also are favourably impacted by increased car sales. The benefits of car ownership include a better management of one’s time, and along with that come improved productivity and less stress due to the greater control and convenience afforded by owning a car. “Mr. 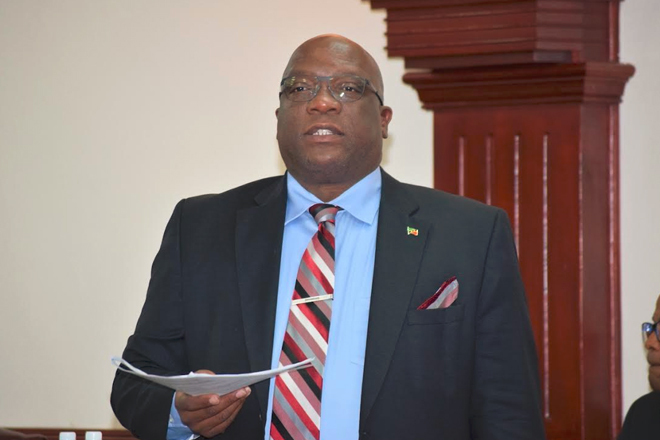 Speaker, we are of course very happy for all those who are now able to obtain their own vehicular transportation, thanks of course to Team Unity’s low tax policy,” the Honourable Prime Minister said yesterday, Friday, January 20th, in the Parliament.